‘I am endeavouring to raise up around me a painted scene of woods and forests in verdure and beauty…I am wandering through bowers and grottoes in conceit’. Imagine an Arcadian villa along the Thames, owned by a poet, which sits atop a grotto containing a natural spring, and decorated with mirrors, shells, stalactites, crystals, diamonds and marble. 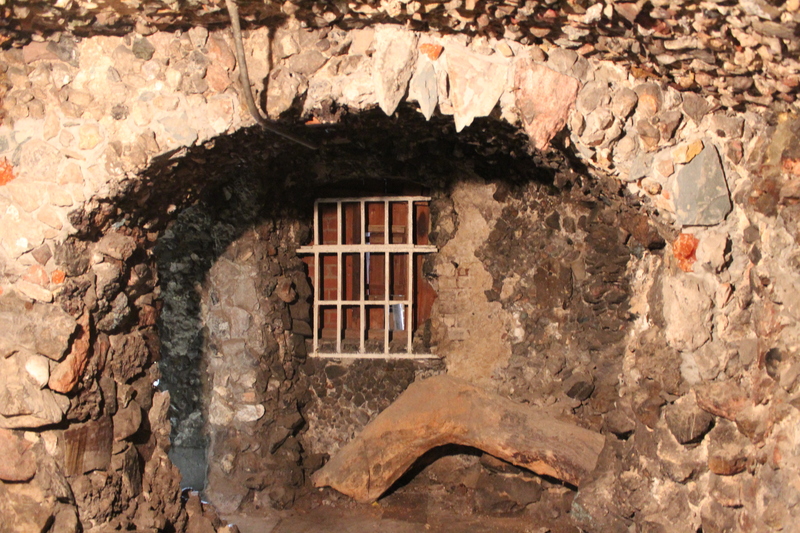 Sadly the villa is now long gone but Alexander Pope’s grotto – in which he once worked and held court – remains, if badly denuded of its unique materials. Pope moved to Twickenham in 1719 and built a grand Palladian villa along the banks of the Thames in 1720. The grotto – which was actually constructed in the cellars of the house and allowed Pope easy access to his gardens on the other side of the road – was built in stages between 1720 and 1744. 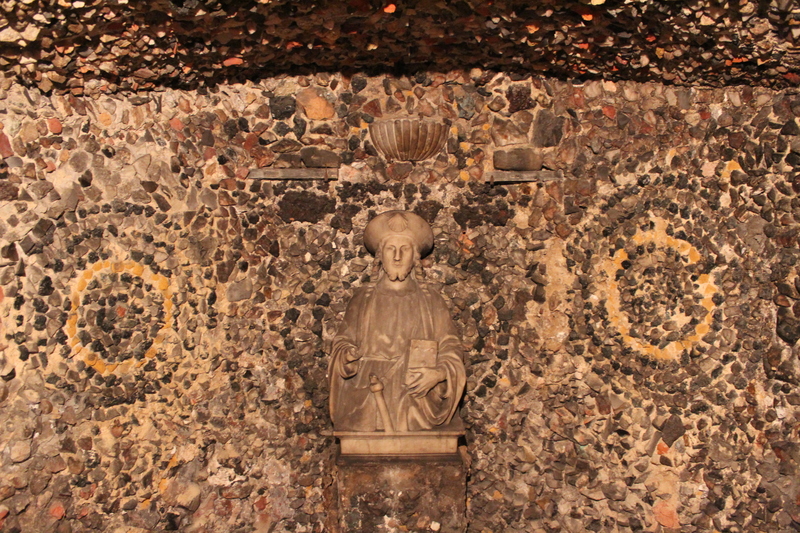 Initially, when the grotto was primarily a tunnel – or ‘subterraneous way’ – beneath the house, Pope decorated it with shells, glass and pieces of mirror, inspired by the imagery of Homer’s grotto. 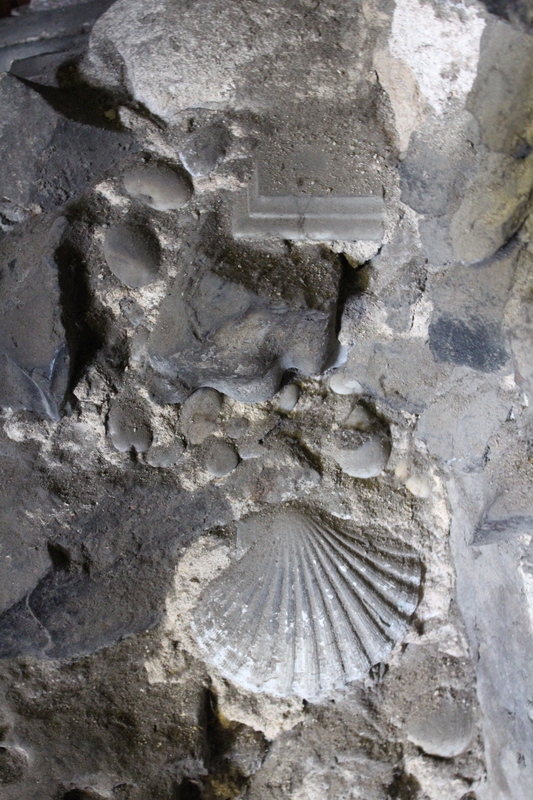 He also created a camera obscura that reflected on the grotto walls ‘all the objects of the River, Hills, Woods, and Boats…forming a moving picture’ (later buildings have since blocked the grotto’s view to the river). From 1733 visitors arriving by boat would be led into the villa through Pope’s picturesque grotto. Inspired by a visit he took to Hotwells Spa in the Avon Gorge in 1739, Pope later determined to redesign the grotto as a veritable museum of mineralogy and mining, containing samples of stalactites, spars, crystals, diamonds, marble and alabaster, to name but a few. Donors – both friends of Pope and people completely unknown to him – had long sent samples from around the globe, sometimes voluntarily but often at Pope’s (sometimes insistent) request. 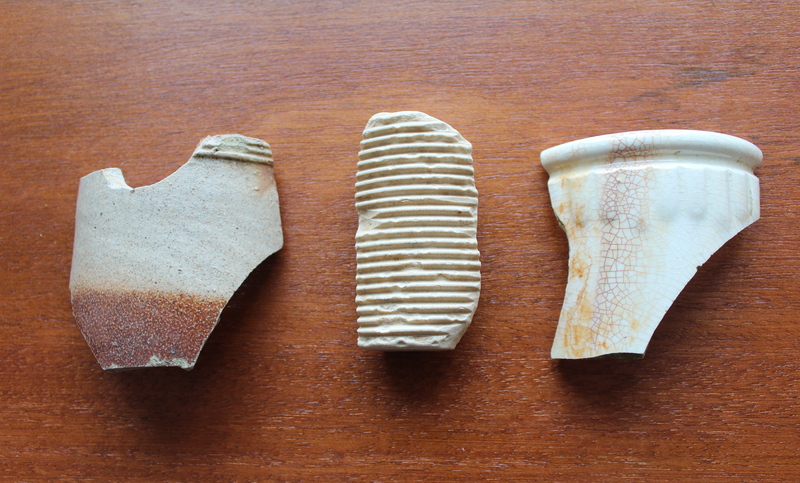 These now continued apace, including pieces from the Giant’s Causeway in Ireland, one of which can still be seen embedded in the wall today. The grotto was still a work in progress when Pope died in 1744 as he was forever adding to it. Fortunately his gardener, John Serle, drew a plan of the grotto as it was at this stage, which is how we know that it once had an extra chamber on the northern side and had by this time expanded to fill the surrounding cellar rooms (it was widened further after Pope’s death). Sadly over the years many of the mineral samples and decorative touches were ‘souvenired’ by pilgrims who came to visit Pope’s grotto from around the world and wanted to take home a little piece of it for themselves. The natural spring dried up some time ago, so today visitors can no longer enjoy the sound of water coursing around the grotto. Recently a willow tree – believed to be one of the willows Pope famously planted along the river, which was moved at some later point into the grotto – was excavated. 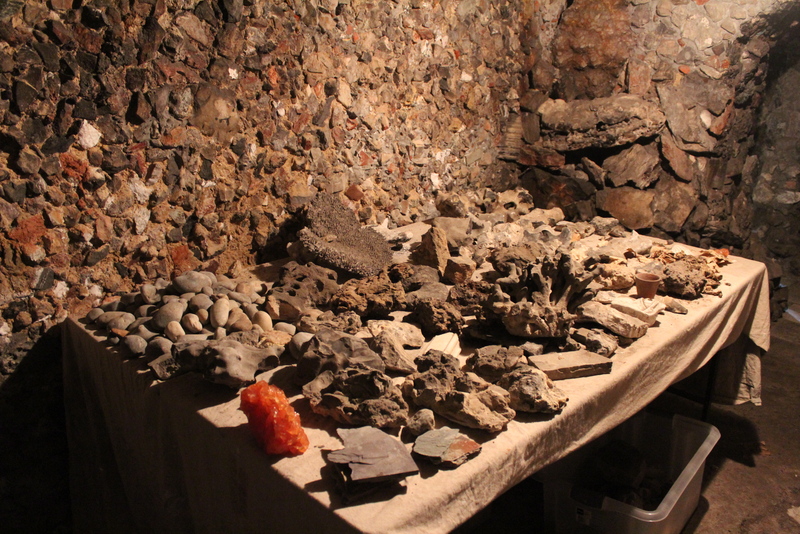 A table of finds is on show in one of the chambers, displaying numerous materials found amongst the dirt which had covered the tree. Today the buildings surrounding the grotto are owned by Radnor House, an independent school (rows of children’s art smocks line the walls outside the grotto’s entrance). The grotto is generally only open to the public once a year as part of the Twickenham Festival, normally held in June, which is how the Londonphile made it inside what was once Pope’s magical underground world. 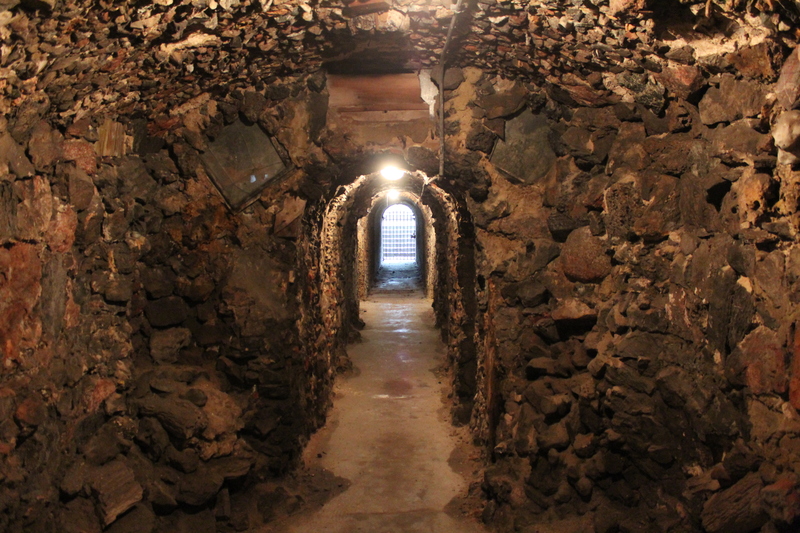 Meanwhile, Pope’s Grotto Preservation Trust is working to preserve and to hopefully restore the grotto to its former glory at some point in the future. Alexander Pope was also instrumental in the design of the grotto that is featured in Part Two of this series – the Marble Hill Park Grotto. 2013 update: The grotto will be open to visitors on two days during the Twickenham Festival: Saturday 8th June at 10:30 and 11:30am, and Saturday 15th June at 10:30 and 11:30am. Further information is available on the Twickenham The Town site. Entrance will be by pre-paid ticket only and will cost £5 per person, £4 for concessions, free for under 11s. 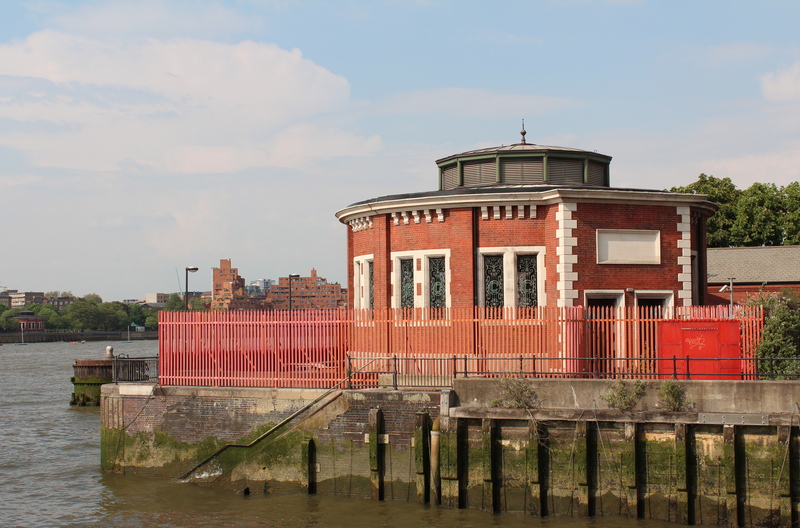 At similar points across the Thames in Wapping and Rotherhithe – like sentinels along the river – stand two rather mysterious identical circular red-brick structures. Surely many a passerby over the years has wondered exactly what these buildings are. They are in fact twin ventilation shafts – more romantically known as cupolas and sometimes referred to as the Rotherhithe Rotunda or Rotherhithe Tunnel Shafts – for the Rotherhithe Tunnel, which allows vehicles to travel under the river at this point between the north and south banks. The cupolas were not built to deal with the noxious fumes produced by cars – as one could be forgiven for assuming – but with those produced by the horses that at the time of the tunnel’s construction were still very much the main form of transport. Likewise, the pathways along the edge of the tunnel itself were not designed for pedestrians but for the men who used to walk the length of the tunnel shovelling horse manure off the road – surely a contender for inclusion in The Worst Jobs in History TV series. The Rotherhithe cupola in the foreground – you can just see its Wapping twin on the far left on the north bank. The Rotherhithe Tunnel was constructed between 1904 and 1908 and both the tunnel and the cupolas were designed by the engineer Sir Maurice Fitzmaurice. 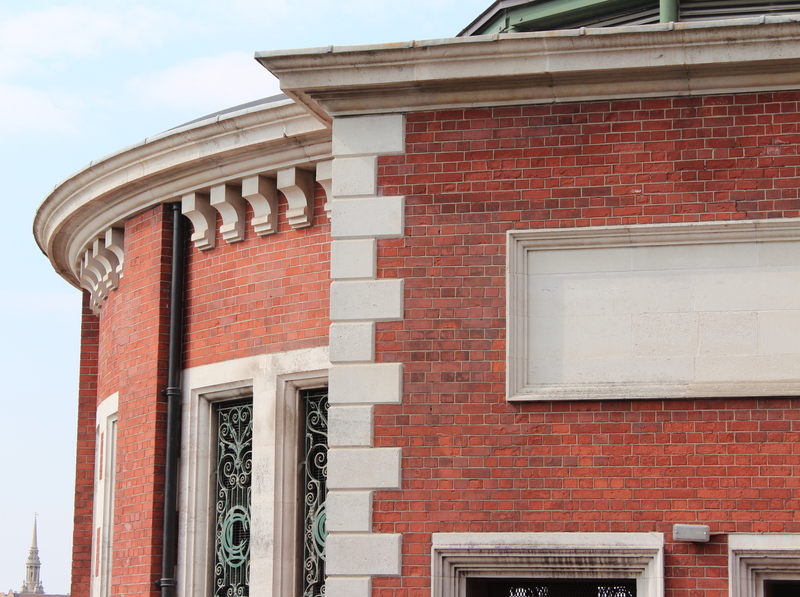 Made from red brick and Portland stone, each contains a staircase down to the tunnel and four ventilation fans. 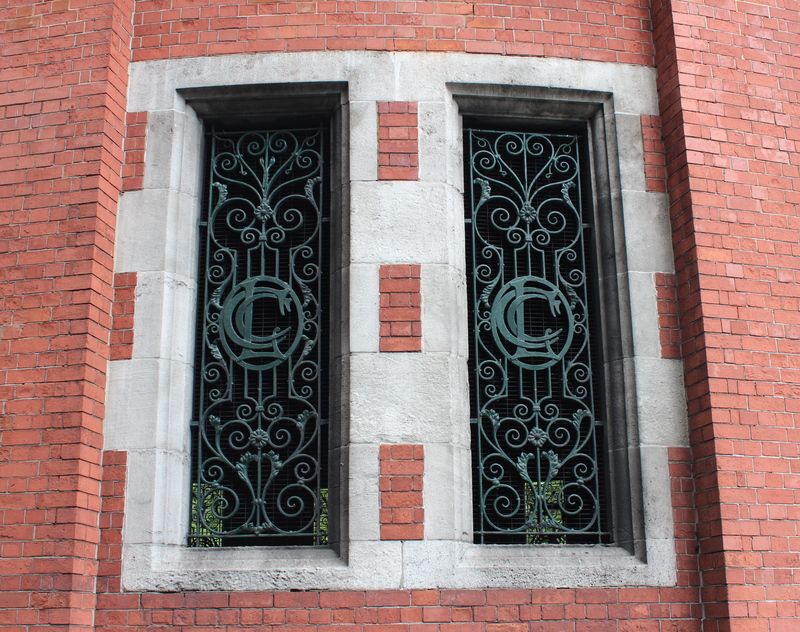 Their surprisingly ornate iron grilles on the windows spell out the letters ‘LCC’ – for the former London County Council. The cupola on the Rotherhithe side is a little isolated and is fully fenced off with thick red metal bars. 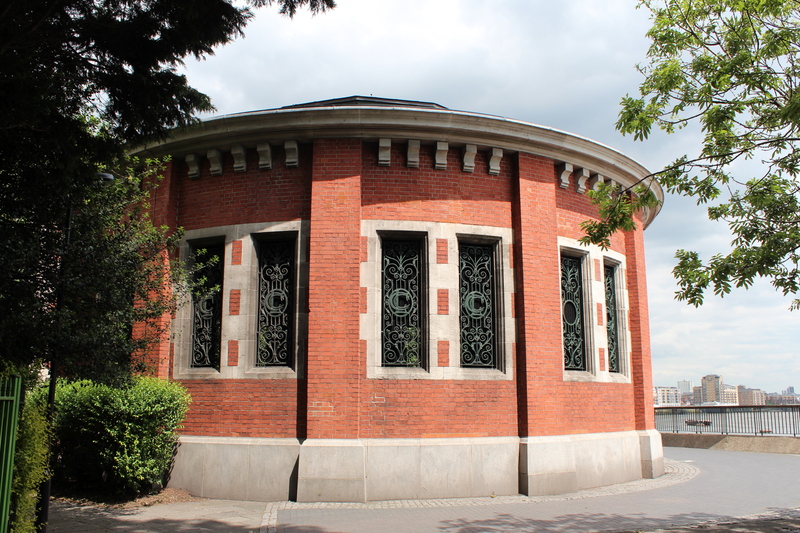 The Wapping cupola is located in the King Edward VII Memorial Park and is more easily viewed as it is not hidden away behind bars. It is signposted as ‘Rotherhithe Tunnel Shaft 3’ – I’m only aware of the two shafts so please get in touch if you know the whereabouts of the other one! 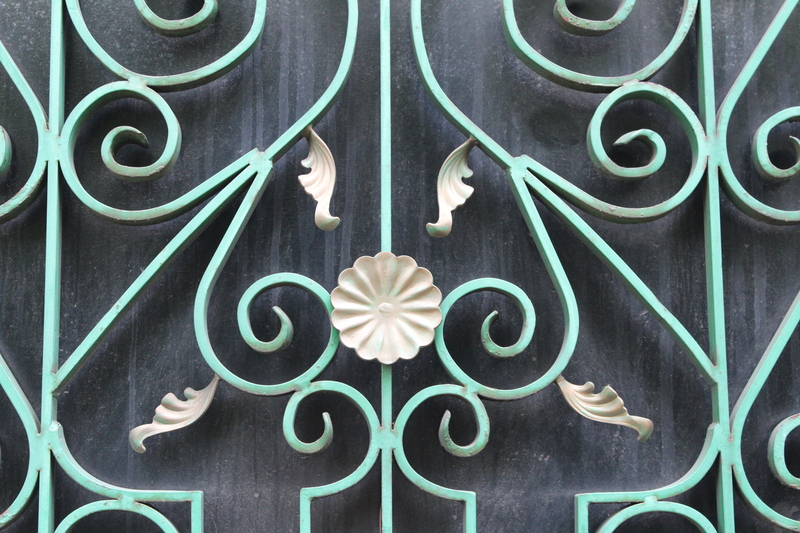 You can walk all the way around this cuploa, and enjoy the pretty twin entry doors on the north side (see detail above). Also located on this side is a ceramic and stone memorial erected by the LCC in 1922 to commemorate the sixteenth-century navigators whose voyages into the unknown started from this part of the Docklands. Wanderers new to Shooters Hill Woodlands may be surprised to find signs pointing them ‘to the castle’. 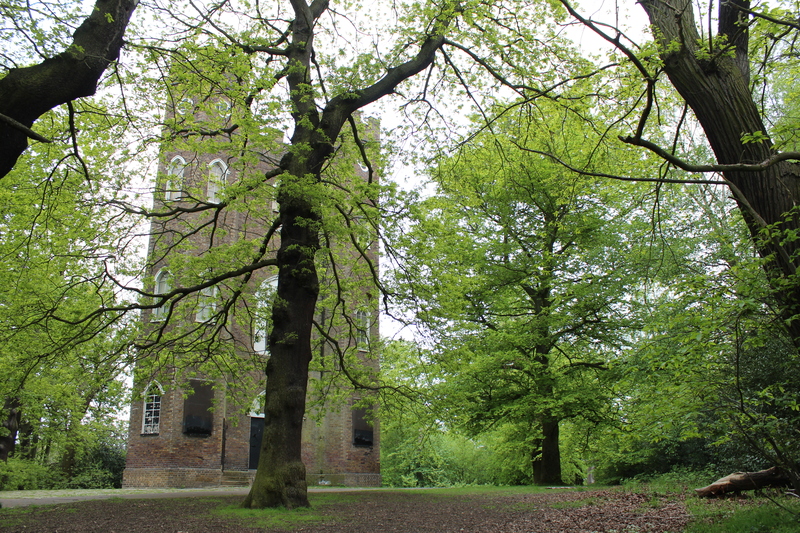 But Severndroog Castle is in fact not a castle at all but a folly. Nor is it a sham castle but rather another popular form of folly – a triangular tower, a fashionable style for ambitious follies of its day. The 60-foot gothic brick tower designed by Richard Jupp – featuring a hexagonal turret at each corner – is found in Castle Wood, atop South London’s highest point. Built in 1784 by his widow to commemorate Commodore Sir William James and his capture in 1755 of the Indian island fortress of Suvarnadurg (rendered in English as Severndroog) – a castle seems a most appropriate form for his memorial to take. 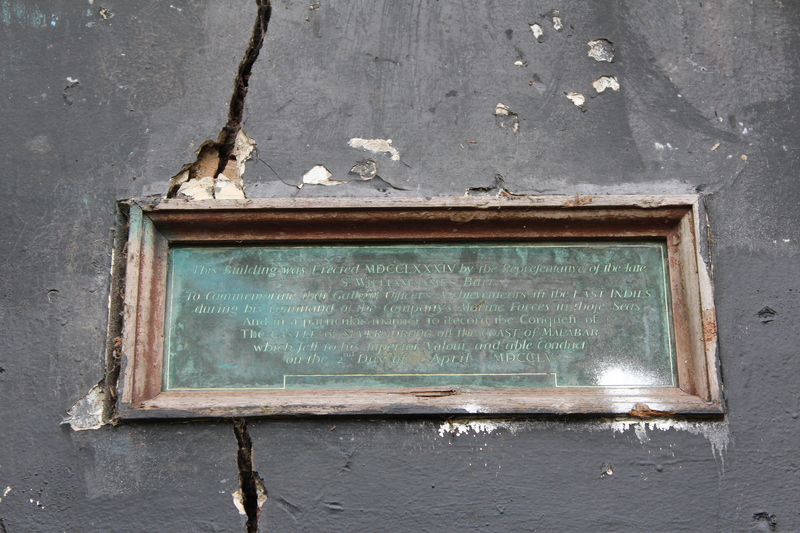 Plaque commemorating Sir William James. Although classified as a folly – which is generally held to be a structure without a purpose – Severndroog Castle has actually given itself over to a number of uses throughout the years. This is mainly owing to its great height – the roof of its tower is 50-feet higher than St Paul’s Cathedral cross. Its vantage point across seven counties has been put to good use in linking up England and France trigonometrically (in 1797), in the surveying of London by the Royal Engineers (1848) and during World War Two as an observation post. Some of this view has now been lost as the trees have grown up around the castle. Now sadly boarded up, the castle once boasted a cafe on the ground floor and, according to Hilary Peters from the Folly Fellowship who visited the site in the 1970s, ‘a perfect eighteenth-century interior: original flower paintings on the original green walls, original plasterwork, original shutters’. She also reveals that one of the towers encloses a staircase, while the others are cabinets off the main room; the first and second floor rooms were kept locked – though Barbara Jones described ‘a hexagonal room with a fine plaster ceiling’ on the first – but visitors could ascend the stairs to the platform on the roof and take in the views. Unfortunately the interior has been seriously vandalised, while Peters believes that the Georgian flowers were painted over by ‘official vandals’ some time ago. This Grade II* listed structure currently finds itself on English Heritage’s Buildings At Risk register. 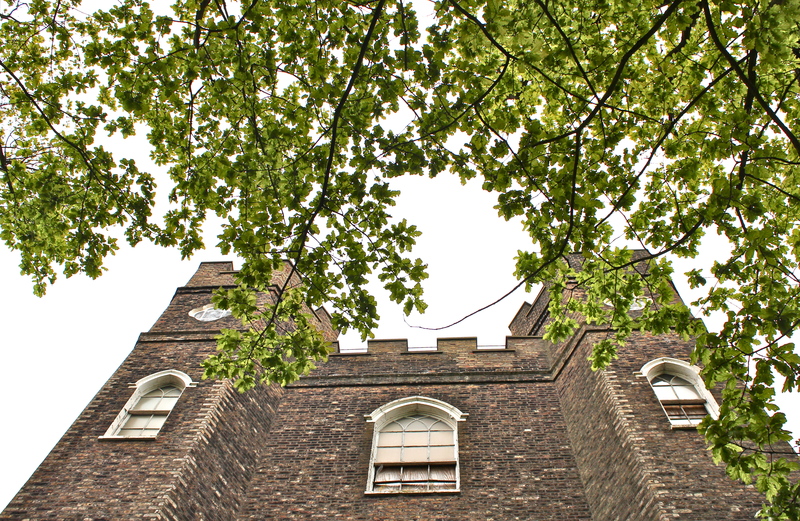 The Severndroog Castle Building Preservation Trust is now working to restore and re-open the castle, having almost secured an agreement to lease it from Greenwich Council. They have secured Heritage Lottery Funding of £595,000 but this covers only 70% of the full cost – more funds are needed for the Trust to meet its full target of £840,000. You can donate or ‘buy a brick’ for just £5 through Just Giving. 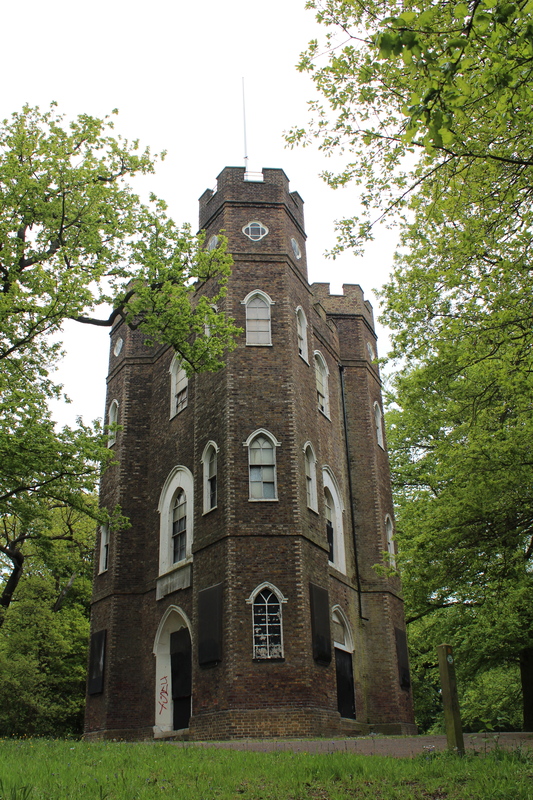 Hopefully Severndroog Castle can lose its ‘at risk’ status – a sad fate for a building that folly hunter Gwyn Headley once described as the earliest and best folly tower in London. 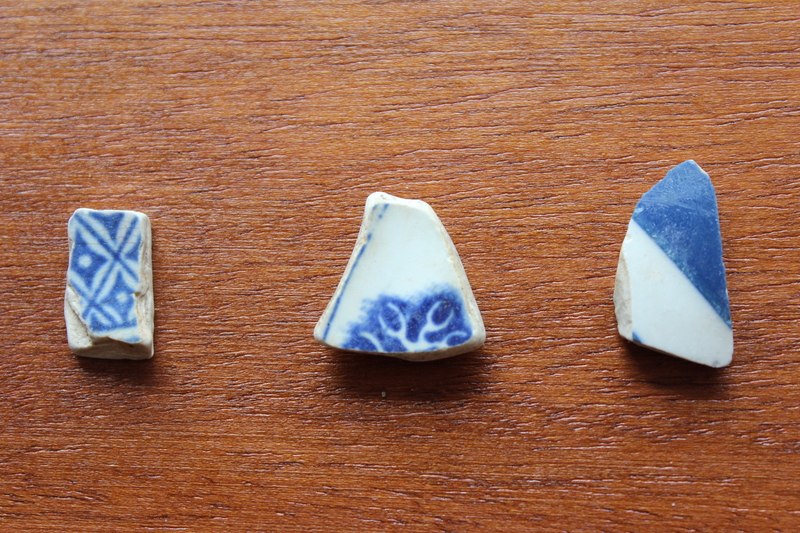 If you want to do your own spot of treasure-hunting you should check the tide times to determine when there will be a low tide – the lower the tide the better as more of the foreshore is exposed. BBC Weather has a webpage showing tide tables for London, which I think are easier to understand than the one published by the London Port Authority. 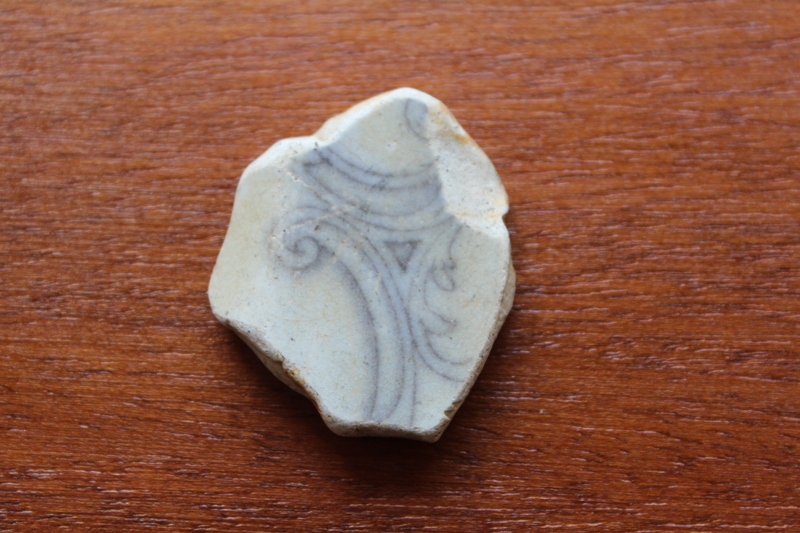 I would also recommend some hardy gloves, wellies (or at least sensible shoes – the mud can be surprisingly thick) and a bag for finds. Just remember that while you can pick up anything from the surface (i.e. 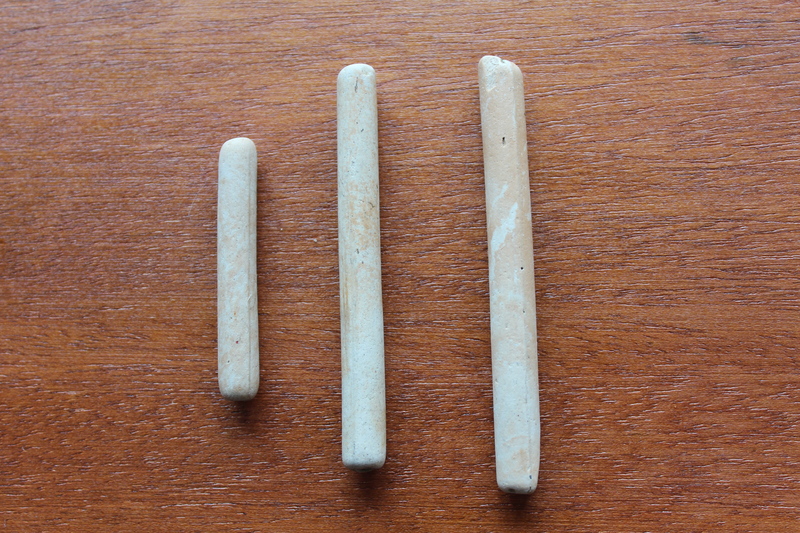 without any digging, scraping or lifting or rocks) without a licence, if you do find anything that may be of archaeological value this must be reported to the Portable Antiquities Scheme Finds Liaison Officer at the Museum of London on 020 7814 5733 or flo@museumoflondon.org.uk. If you don’t feel like going it alone there are a number of groups that run organised walks or fossicking tours along the Thames. 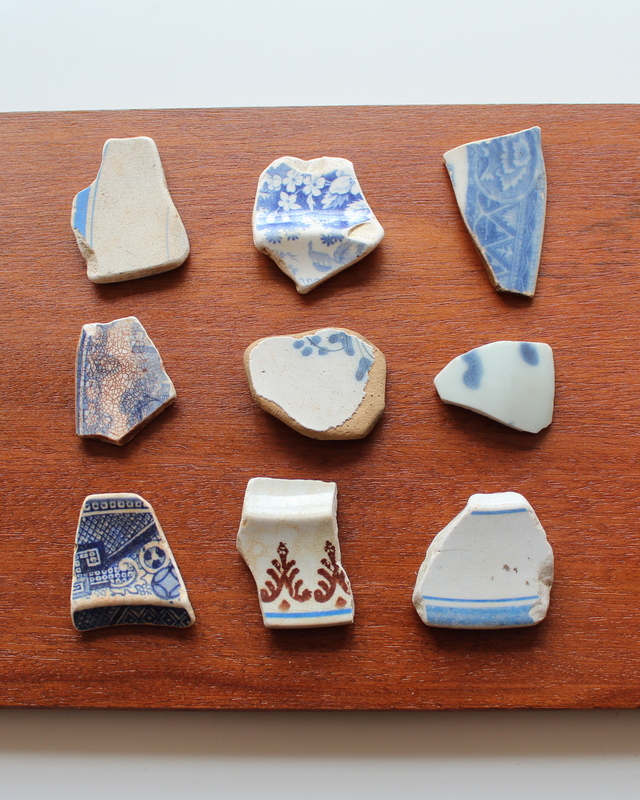 Thames Discovery and Thames Explorer Trust run a number of archaeology and beachcombing walks on various sites along the Thames. I wrote about Thames Discovery’s Rotherhithe Winter Walk earlier this year; the Thames Explorer Trust will hold a free Custom House Walk on Friday 22nd June 2012, 9:30am to 11:30am – there are currently seven places left so be quick! Keep an eye on Thames Discovery’s Events page as new walks are listed regularly. 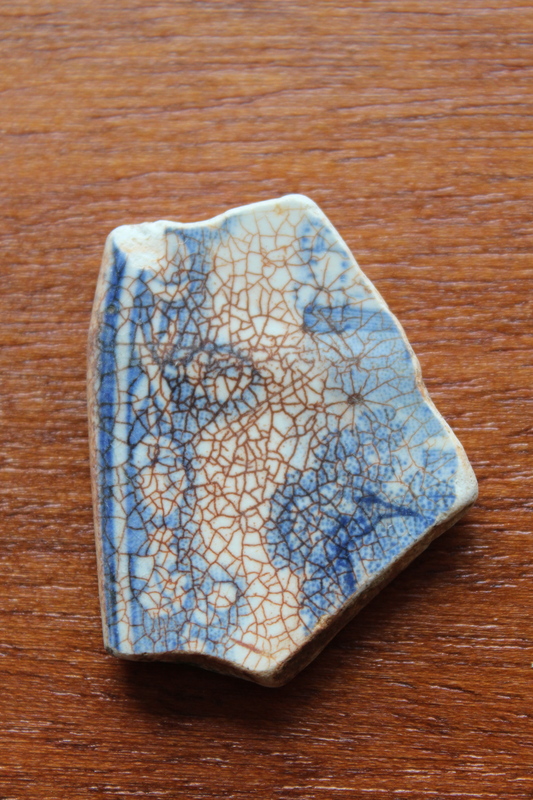 London Walks also hold Thames Mudlarking walks guided by an archaeologist. 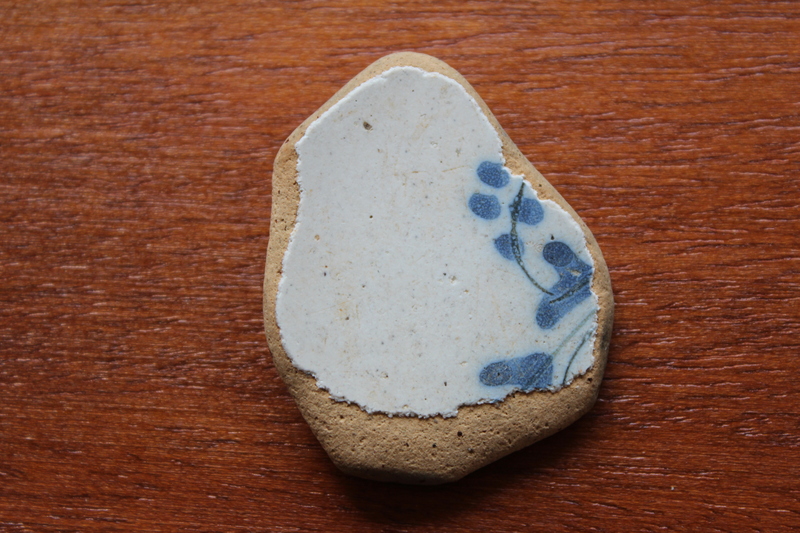 The Surrey Docks Farm holds irregular foraging sessions along their foreshore – there will be one this Sunday 10th June at midday – no booking is required and it’s free.